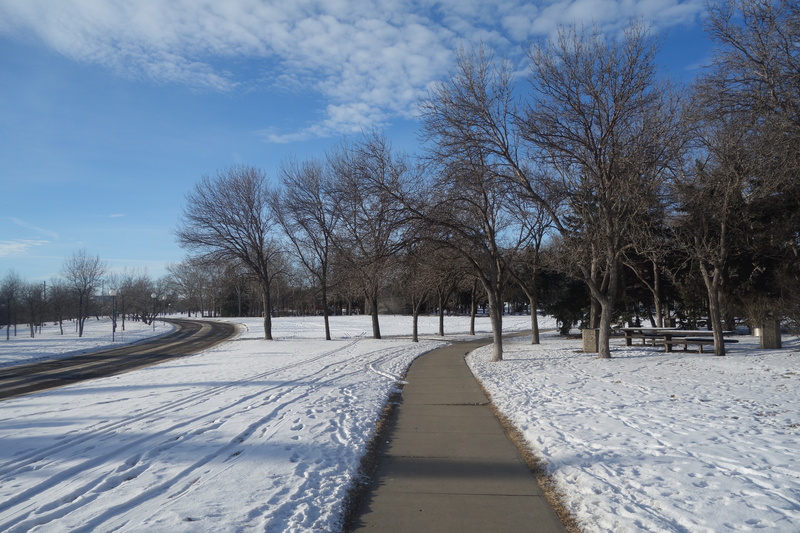 Today we walked to work and back through a winter wonderland, thanks to the hoarfrost that settled in overnight and has covered everything. It’s very beautiful. 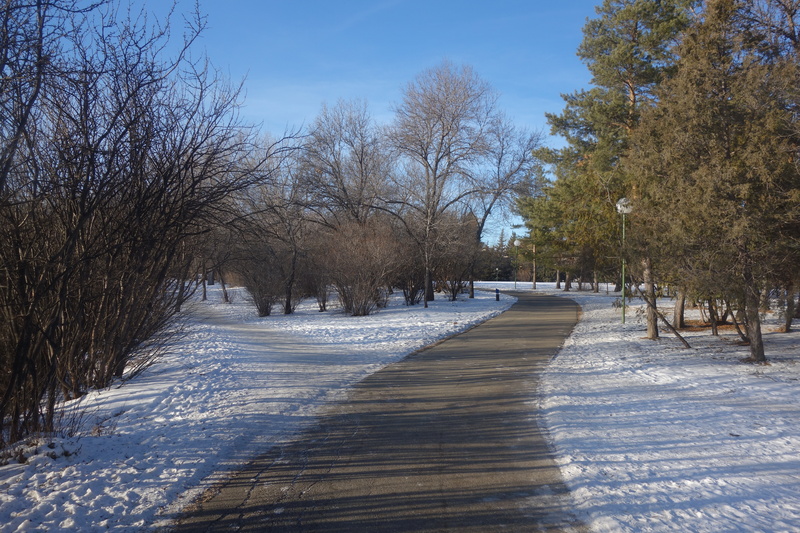 I’d never seen hoarfrost before moving here and it’s become one of my favourite things about winter–especially when the sun comes out, as it started to do this afternoon. Two months ago, I stubbed my left baby toe on the bathroom door and broke it. Only in the last week or so have I been able to wear shoes without pain or discomfort. Forget about walking anywhere. The toe hurt too much for that. I thought it would never heal, that the swelling would never go down, but everything seems fine now, maybe because I spent much of the Christmas break resting my foot on an ice pack. 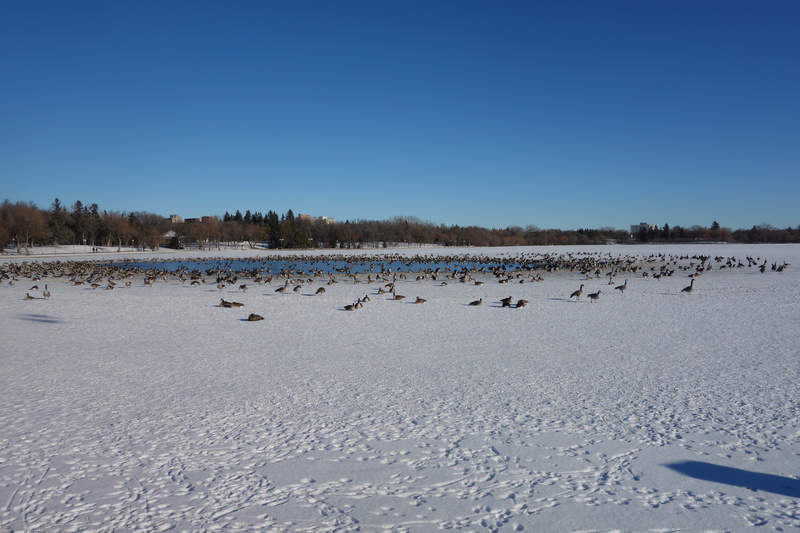 Now that I seem to have recovered, I’ve taken a couple of short walks around Wascana Lake since New Year’s Day. 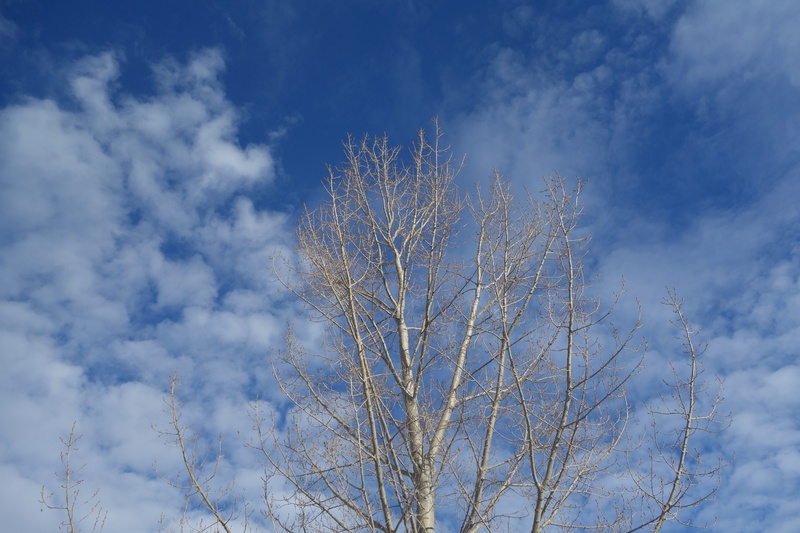 The weather continues to be unseasonably warm.The forecast high today was minus two degrees, which is balmy compared to the temperatures you’d usually expect this time of year. In three places, there’s open water on the lake, something I’ve never seen here in January. I even saw a few mallards hanging around, although most of the birds who haven’t flown south are Canada geese and seagulls. 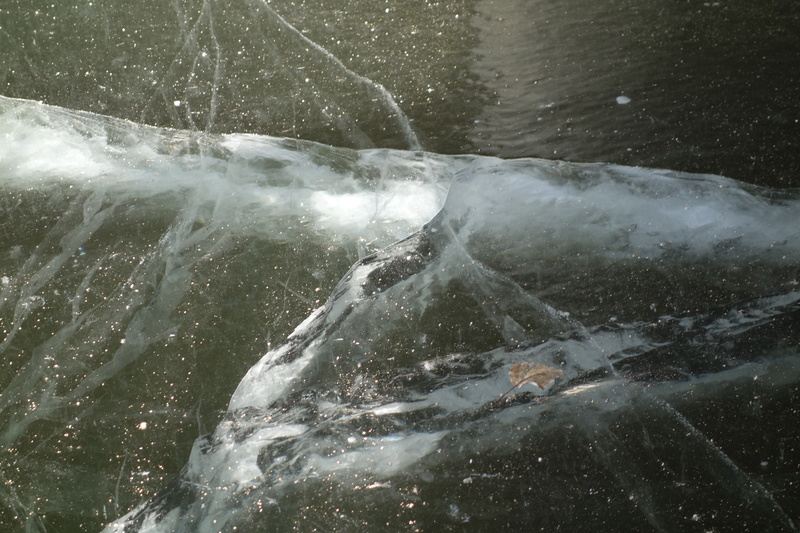 By the shore, though, the ice is pretty thick. I took this picture just under the Broad Street bridge. Still, walking around on it is probably not a good idea. 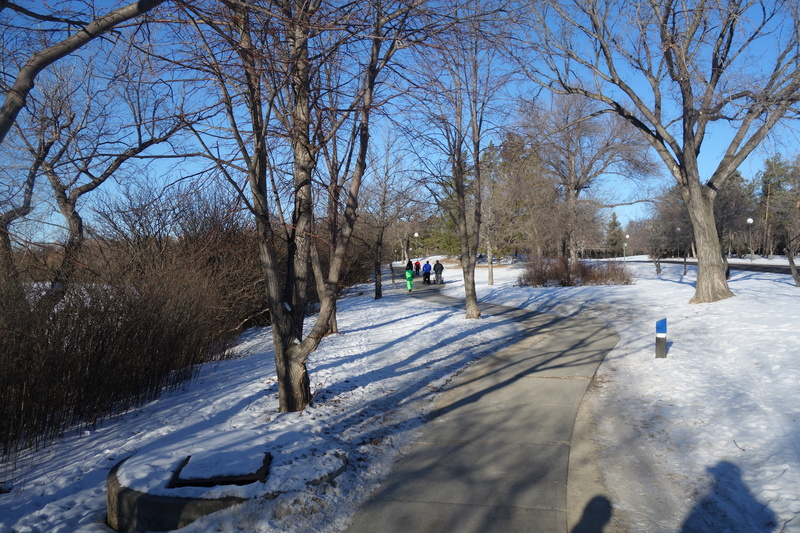 Quite a few people were out walking and jogging and enjoying the sun. I even counted two people reading books as they walked, something I’ve never seen here before. 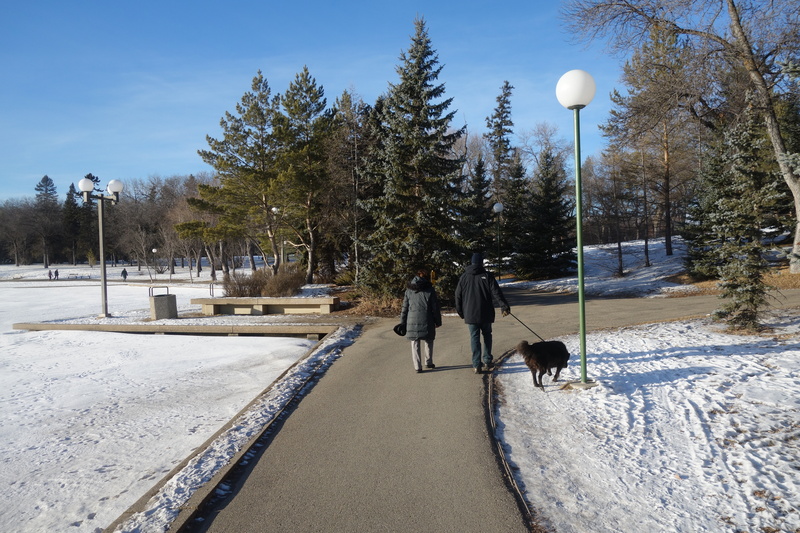 I didn’t manage to take their pictures, though I did get pictures of people walking their dogs and a family whose child was dressed in a lime-green snow suit. 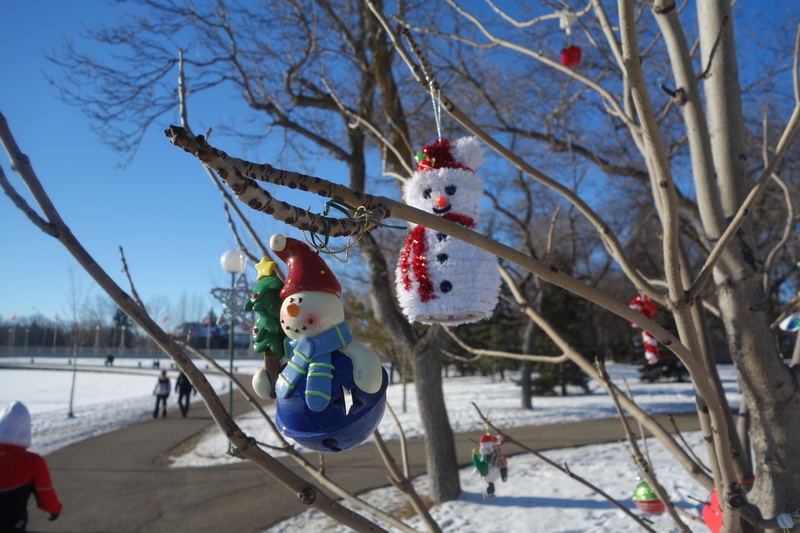 Once again this year, somebody has adopted a little tree near the Albert Street bridge and covered it in Christmas decorations. I wonder how long they’ll last before the park authorities take them down. 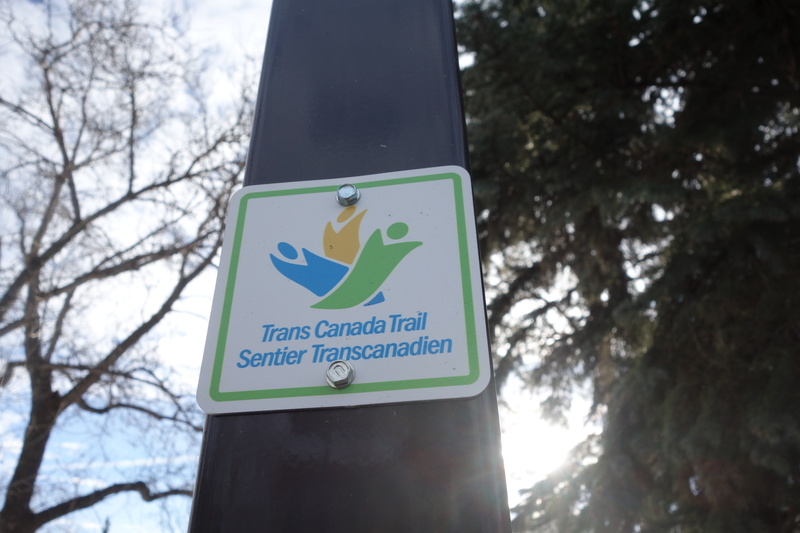 I knew the path around the lake was part of the Trans-Canada Trail, but I’d never noticed this little sign on a light post before. It’s funny how you can notice something new, even on a walk you’ve taken many times before. 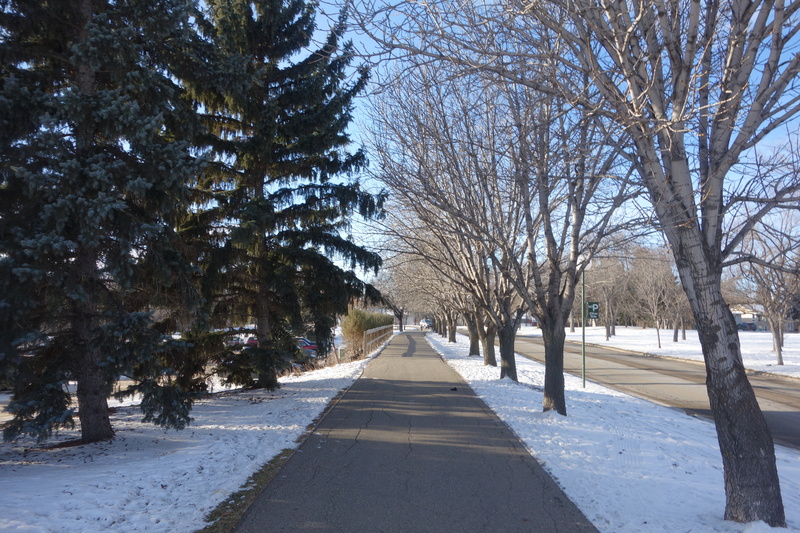 My goal for this winter is to walk to and from the university as often as I can, and to work out on the treadmill in the fitness centre. I need to train for the walk I’m planning to take in the spring. 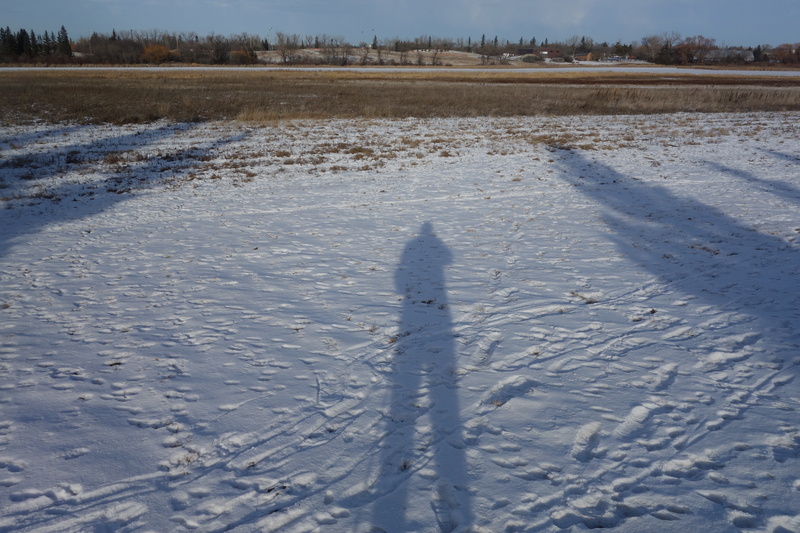 That walk is important to me, and I don’t want to have to cut it short because I’m not prepared for it.